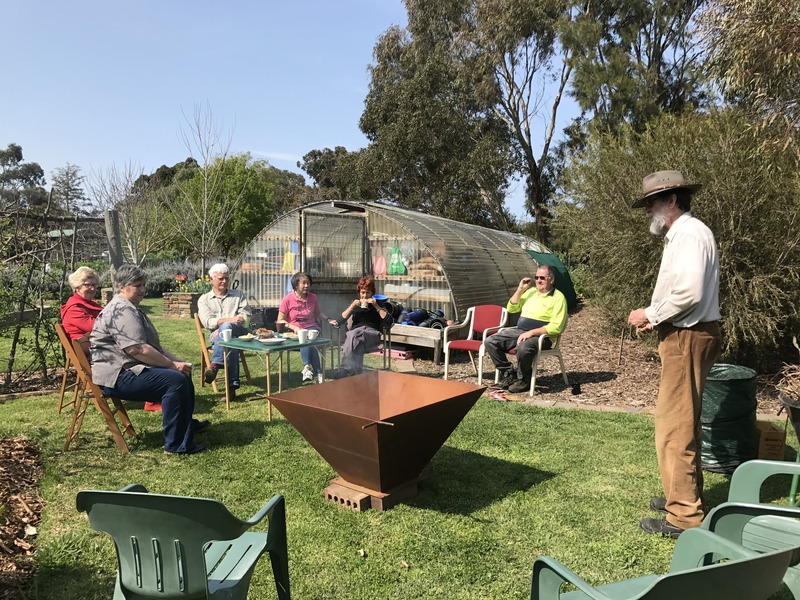 A Community Biochar Centre is proposed for Macclesfield, South Australia that will convert dry organic waste from local households, landowners and businesses to biochar and thereby capture carbon, offset and reduce greenhouse gas emissions and create voluntary carbon offsets to trade. Biochar is a form of charcoal and is good for the soil, good as an animal feed supplement, has numerous industrial uses and combats climate change by sequestering carbon. This proposal summarises the objectives, benefits and costs associated with a local biochar centre in Macclesfield. Registered suppliers of woody waste would receive a regular statement detailing the weight of carbon that they have sequestered and what that represents in terms of greenhouse gases averted. The Appendices to the proposal provide the detailed calculations used to justify the claims made, and also provide examples of the agreements needed, the methods to be used to minimise risk, and other factors relevant to the proposal. •	Local households will not be charged for processing their woody waste. •	Improved soils and more productive farms and gardens. o	local firewood supplier (to use the larger sizes of waste not suitable for biochar). groups, all of which will contribute to increased commercial activity in the town. •	A cleared site outside the town boundaries on which will be located a receival shed, a drying shed, a semi-roofed operations area, a water supply, a packing/storage shed and an administration office. •	The receival shed will be used to sort the incoming waste into sizes and moisture content. Waste with moisture content greater than 15% will be moved to the drying shed. Each registered user will be allocated a dedicated storage area. •	The drying shed will contain racks on which waste can be stored so as to facilitate drying by air circulation. The shed walls and roof will be designed to encourage air circulation and the exclusion of rain. •	The operations area will contain a number of small to medium sized kilns (0.2 to 0.5 m³ capacity) of the flame-cap style. These kilns are virtually smoke-free and burn the tars and gases that arise during pyrolysis leaving only the char. •	The water supply will be from a rainwater tank collecting rain from the shed roofs. The water will be used for quenching the char and together with a petrol-driven pump serve as a source of fire water in an emergency. After quenching, the char will be allowed to drain before being transferred to bags. The drain water will be collected and re-used. •	The packing/storage shed will be used to pack the char into bags or other forms of container as needed and store them for sale or disposal as the case may be. This area will also be used to crush excessively large lumps of char to facilitate packing and later use. 	Amount payable by or to the user. •	A number of volunteer operators to man the Centre. Each operator will be trained in the principles of pyrolysis and flame-cap kilns. There will be a strict emphasis on Risk Analysis and the rules governing when operations will be permitted or not. Safety equipment and protective clothing will be supplied to each operator. Householders living within the Macclesfield town centre (where burning is no longer permitted without a permit) will be able to take their garden woody waste and free up much needed space in their green bins. There will be no charge to those Macclesfield residents who register for this service. Landowners in the Macclesfield region and local businesses such as saw-millers, furniture manufacturers, crate and pallet makers, post makers, carpenters & joiners, builders, wood products suppliers etc will be able to take their offcuts (provided they are untreated and still purely organic) to the Centre. They will incur a small charge for the service. Fees and charges will be set so as to cover the costs of operating the Centre. Any profits from the operations of the Centre will initially be used to transfer volunteers to employee status. All waste suppliers will be registered and required to sign an Agreement covering the terms and conditions of use. If any waste is found to be non-organic then penalties will apply. See Appendix 1. The operation of the kilns will be carried out by trained volunteers who will ensure that particulate emissions are virtually nil. The resulting biochar will comply with the latest biochar methodology when approved by the Climate Change Department for the creation of carbon credits. Biochar production will be strictly controlled for safety, health and quality of the final product. 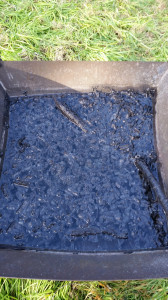 Periodically samples of the biochar will be taken for analysis of carbon content, ash content, volatiles content, moisture content, water holding capacity, etc. Bulk packaging of the biochar for use in soil and/or compost improvement will be carried out on site and where necessary the biochar will be crushed to a particle size that is suitable for soil or compost addition. c)	By special arrangement with industrial users. If any of the output from the Centre is used as cooking charcoal (which may be appropriate at times) then it would NOT be classified as biochar and would not be eligible for carbon credits. The weight of biochar produced will be used together with the analysis of carbon content etc to compute the weight of greenhouse gases avoided. One carbon credit will be claimed for each tonne of greenhouse gas abatement achieved. Appendix 2 shows the type of calculation involved. It is proposed that the Biochar Centre be operated as a not-for-profit (NFP) organization with status as a deductible gift recipient (DGR); i.e. entitled to receive tax-deductible gifts. •	Site preparation (eg earthworks, gates, signage etc): $1500. •	Sheds: Material costs (voluntary labour to erect) $5000. •	Kilns: Initially say 6 x 0.25m³ flame cap kilns @ $200 each………..$1200.00. •	Petrol-driven pump & fire hose: $3000. perceived risk would be no greater than that posed by Council’s existing rubbish disposal facility. Estimated total outlay in first year: $20 000.00. Volume of each kiln: 0.25 cu.m. 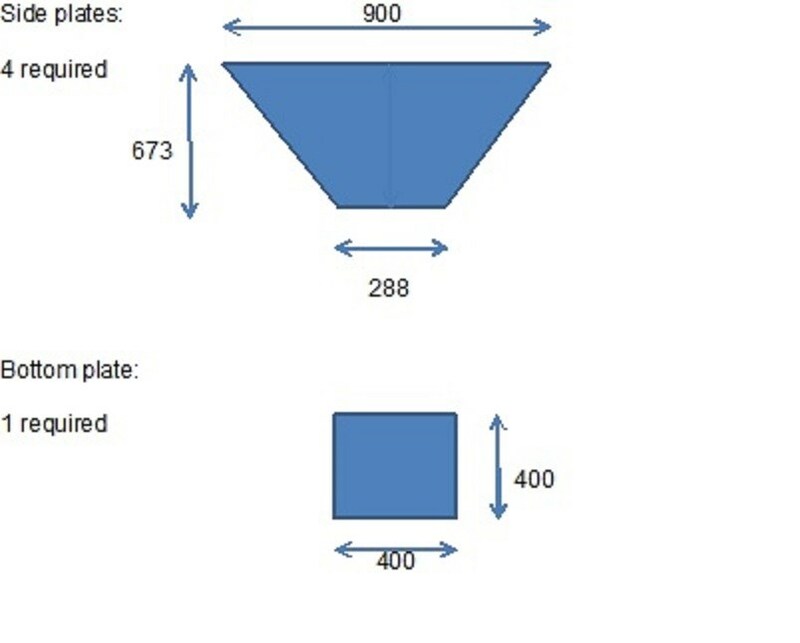 60 x 6 x 62.5 = 22500kg or 22.5 tonnes. Large amounts of woody waste from businesses will be charged a processing fee. The fee will need to be competitive with the cost of other means of disposal available to them (eg skip hire, etc). The fee will need to be structured according to the volume, type and dimensions of the waste. The typical market price of bulk biochar: $1000 per tonne. So if all the biochar can be sold, then sales revenue in 1st year could possibly be: $22,500. However it will take time to establish a solid base of customers, and to establish credibility with those that require a reliable supply source to satisfy their on-going production needs. Storm & waste water filtration system suppliers. Where a landowner prefers to process his woody waste on his own property (eg to avoid loading and cartage costs) and use the resulting biochar directly on his own land the Centre will offer a service to manage the production of the biochar on a contract basis. The use of the Centre’s expertise and production accounting methods will ensure that the biochar so made can be counted towards the Centre’s total production. Spare kilns will be made available to hire out to local households and landowners for a hire fee to allow them to make their own biochar on their own land for their own use. However the biochar so made will not be counted towards the Centre’s total production nor will it be creditable towards carbon offsets. Based on the first year’s target production of 22.5 tonnes of biochar, the Centre will claim 61.7 biochar specific carbon offsets. The calculation is 22.5 x 0.75 x 3.66 = 61.7. A certificate will be produced for each 1 tonne carbon offset. Certificates will be made available for sale to anyone who wishes to defray their carbon emissions. (However it must be stressed that at this point in time biochar specific carbon offsets are not legal currency. If and when they do become officially recognized it will be important that the certificates that we have issued can be traced back to us (wherever they are, and whoever has bought them) and can be verified. Alternatively a simplified system could be offered whereby carbon offset certificates are only sold locally and are only allowed to be used to offset local emissions. An example could be a local fuel retailer who applies carbon offsets to his fuel sales. The price increment paid by the motorist for carbon neutral fuel would be minor and comparable to the normal fluctuations in the retail price of petrol. The sale price of such carbon offset certificates will be determined by market demand. At this time they can be expected to sell for $50 – $60 each. Training courses will be offered on biochar basics; biochar production; and biochar uses, including preparation and application for soil improvement. Guided tours of the Centre will be offered to anyone that wants to see biochar production in progress and learn about the operations of such a Centre. •	Smoke and/or particulate pollution. The methods to be used to make biochar will exclude retorts of any kind and therefore will avoid the possibility of large dark smoke emissions that can arise if the gases from the retort are not fully combusted. The dominant method to be used is known as ‘flame-capping’ in which the feedstock is pyrolysed in an open vessel or pit designed to allow air only to the top layer of feedstock. Thus the top layer burns, and in so doing burns off all the gases, heating the layers below that are starved of air and so producing biochar with a low level of tar and other volatiles. This method is characterized by very low smoke emissions, mainly during the first few minutes of start-up. For the same reasons the level of particulate emission is very low; i.e because the flames consume virtually all the emissions; so no dark smoke can occur. o	No operation on days of extreme fire danger or above. o	Strict adherence to risk analysis protocols for each and every operation. o	Low probability of ember emission when using ‘flame-capping’. The level of noise is expected to be low at all times. Feedstock will be supplied cut to size so no chain-sawing is expected to be needed on-site. Deliveries of feedstock will be limited to normal business hours. •	Competition with local producer(s). The Centre will not compete with local producers. Rather it is hoped that the Centre’s operations will augment local producers by acting as a wholesale supplier to them, and increasing public awareness of biochar. It is also planned to build special relations with industrial suppliers of feedstock (eg forest waste) and industrial users of biochar (eg filter manufacturers). Currently the only local producer is an enthusiastic supporter of this proposal. •	Volunteers are inappropriate for an operational on-going business. This would be true if the business was commercially viable (i.e. profitable). The problem has been and still is that the production of biochar on a large scale (which is what we want from this Centre) is either labour intensive or is capital intensive or both. We plan to avoid major capital expenditure by restricting production to the flame-cap method. This is also a very clean method. But the method is labour intensive; hence its popularity in developing countries and in backyards. So the only feasible business model at present is to rely on volunteer labour. •	Many young people are likely to support this project but NOT as unpaid volunteers. Where the project is for the community good a not-for-profit business model is a reasonable approach. While the business is in its early stages it may need to rely on volunteer labour. Hopefully as the business grows its revenue will reach the point where workers can be paid a regular wage. •	Obtain all necessary Council and EPA approvals. •	Obtain necessary start-up funds. •	Select and acquire a suitable site. In-principle support of this proposal is now being sought from stakeholders and community groups in Macclesfield. This support is necessary for the project to proceed. If positive feedback is received from the community then a Steering Committee will be formed to take the project forward. If you support this proposal please leave a comment to that effect. Constructive comments will also be most welcome. 2. Biochar production for carbon sequestration. Allyson Stoyle. 15 March 2011. 3. Using biochar systems to sequester carbon. AgMRC Renewable Energy Newsletter, January 2010. 3. Characteristics of preferred feedstocks. 5. “Permit to Operate” pro-forma. 6. Supplier Summary Spreadsheet Template. APPENDIX 1. SUPPLY AGREEMENT TEMPLATE. to allow the use of the Supplier’s feedstock (hereinafter referred to as the Feedstock) by the Centre for the production and disposal of biochar and to set out the terms and conditions of such Agreement. 1. The Supplier wholly owns the Feedstock. 2. The Supplier is legally entitled to supply the Feedstock for disposal. 3. The Feedstock is wholly organic in nature and does NOT contain any vestiges of inorganic material. 1. The Supplier will provide the Feedstock to the Centre without charge. deliveries of Feedstock, the amount of biochar produced, and the amount of carbon dioxide captured. 5. This Agreement is an exclusive agreement between the Centre and the Supplier. 6. The term of this Agreement is 12 months from the date of the Agreement. extended and renewed for a further 12 months unless terminated by advice via email from either party. 8. The Centre may terminate this Agreement at any time via email for any reason. I AGREE ………………………………………………………………(Centre) Witness …………………………………………………………………. In South Australia (Ref.1) the emissions factor (EF) for the State grid is 0.51 kgCO2-ₑ per kilowatthour of electricity consumed. Q = quantity of electricity purchased in kilowatthours. Surely this is a worthwhile target in terms of carbon abatement by a single small community together with the other indirect benefits from the use of biochar to enhance soil quality and improve plant yields. APPENDIX 3. CHARACTERISTICS OF PREFERRED FEEDSTOCKS. The following list of characteristics of preferred feedstocks is intended as a guide based on the Centre’s kilns currently in use and may be altered in the future as the Centre’s facilities evolve. 1. Higher moisture levels cause the pyrolysis process to take more time as more heat is needed to drive off the excess moisture. The thickness and density of the feedstock determines how long it will take to dry off. Clearly bamboo-type feedstock will dry out within a few weeks whereas tree prunings and timber offcuts may take up to a year when stored out of the weather. 2. Larger items will take longer to pyrolyse than smaller items. Furthermore after processing, the item volume is much the same as it was at the start, so if items are large, crushing may be needed to make them suitable for spreading or mixing with other materials (eg compost). However it is expected that the demand for converting larger items will come from foresters and farmers and will need to be addressed. 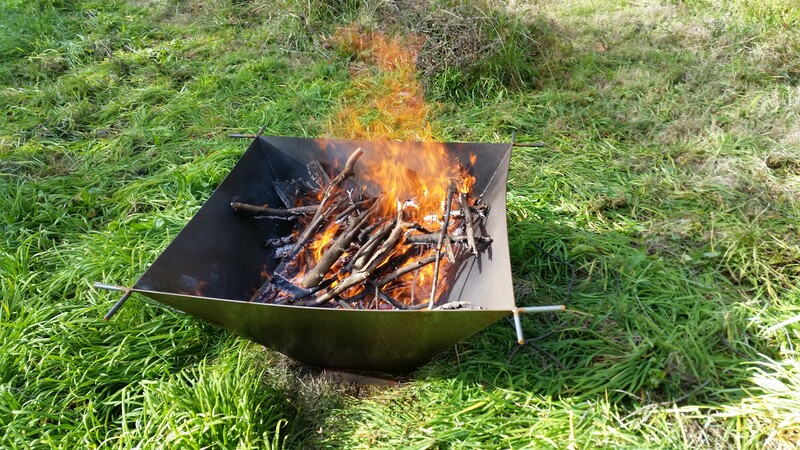 This can be done by making fire-pits customised for the lengths of feedstock supplied. 3. It is very important that no plastics, no metals, and no chemically hazardous residues are allowed to contaminate the feedstock as any such hazardous residues will become fixed in the charcoal produced and render it unable to be classified as biochar. Examples of commonly encountered hazardous materials are: Plastics; Painted wood; Creosote; Permapine. 4. The packing density of the feedstock increases as the particle/lump size decreases and/or the shape of the particles/lumps allows less air gap between them. For example wood chips have a higher packing density than twigs. Similarly, sawdust pellets have a very high packing density as the pellets are already compressed and the pellets tend to pack together very well. However low packing density (eg logs etc) requires a longer cooking time. So the ideal packing density is medium as with branches less than 100mm in diameter. 5. The feedstock must originate locally otherwise the benefits of carbon sequestration gained by the production of biochar may be partially or wholly offset by the carbon emissions generated by transportation of the feedstock to the Centre. If there is any significant work needed to make the feedstock available (eg. harvesting, transport, cutting etc) and this work requires the use of machinery that operates using fossil fuels or from electricity generated by fossil fuels then it can be argued that the carbon emissions so generated must be calculated and offset against any perceived benefit from the production of biochar. This is part of the reason why agricultural residues (eg waste timber from forest plantations and saw mills; vine prunings from vineyards; tree prunings from fruit or nut orchards) are a preferred feedstock for biochar production provided the biochar kiln is located at or adjacent to the plantation, saw mill, vineyard or orchard. APPENDIX 4. RISK ANALYSIS TEMPLATE. List the tasks required to perform the activity in the sequence they are carried out. Against each task list the hazards that could cause injury when the task is performed. List the control measures required to eliminate or minimize the risk of injury arising from the identified hazard. Write the name of the person responsible (supervisor or above) to implement the control measure identified. APPENDIX 5. PERMIT TO OPERATE. TYPE OF KILN: FLAME CAP TYPE 1. PROCESS: PYROLYSIS. 1. WEATHER: NO FIRE BAN DECLARED. 2. 4 METRE CLEARANCE FROM FLAMMABLE ITEMS (CFS REQUIREMENT). APPENDIX 6. SUPPLIER SUMMARY SPREADSHEET TEMPLATE. APPENDIX 7. SUPPLIER STATEMENT TEMPLATE. •	Plaster supplement: for electromagnetic screening. •	Air filtration (odour reduction). •	Community Production Case Study: Waldron Island. Biochar production for forestry, farms and communities. Kai Hoffman-Krull. Published by Northwest Natural Resource Group. This paper is available as a pdf and provides many insights into the practicalities of on-site biochar production on a large scale using flame-cap kilns. •	H500, West Bengal, India. Sales of charcoal-specific carbon offsets from the H500 project are expected by January 2019. •	The Tenkawang Factory, Borneo. •	The Warm Heart Project, Thailand. Thank you for introducing the CBC initiative to Maccy. What better time to implement such a practical way for folk to understand its purpose and necessity locally? It looks like a well thought out written proposal. It just so happens that my nephew Michael Durant and his wife Alex are living, albeit, temporarily in Maccy……………….Both hold positions in Land care and management and I know they will be interested in your proposal. There may be some channels to explore with the people they know through their work (grant possibilities etc). Alex’s father has been instrumental in all matters of land conservation on KI for decades. I will send this information to them for a look anyway and I’ll get the word out to those I believe may understand the importance of this. Is it possible to put up a similar info post on Facebook? I can send it to many more there too, local groups etc. I’m in Brian. What do I need to do to sign up? APPENDIX 11. QUESTIONS & ANSWERS. 1. How many days will this proposed Centre be open and what will be the opening hours? It is too early to give an exact answer. It will depend on the demand for the service and products it will offer. When the Centre is open for receivals it is likely that, for safety reasons, there will be no firing allowed. So it may happen that initially firing will take place during the week as needed; and receivals will take place at the weekend. The total number of operating days will depend also on the weather and fire restrictions. The opening hours are likely to be normal business hours. 2. Will the Centre cover the volunteer’s insurance? Yes. Personal accident insurance will be essential; as also will be public liability insurance and professional indemnity for the directors. 3. How many volunteers would you require to operate the Centre? 4. Would you consider making these kilns for people’s home yards? couple of weeks to get and usually last for only a month. carbon status of each of its registered suppliers. training courses to satisfy this need. Where a household seeks to offset the greenhouse gas (GHG) emissions of its electricity consumption on a weekly basis the production and capture of biochar can be used to offset the emissions associated with the generation of that power. A typical 2 person household consuming 156 kWhr of electricity per week only needs to make 30 kg of biochar to offset the GHG emissions caused by the production of that electricity. Y is the scope 2 emissions measured in CO2-ₑ tonnes. Q is the quantity of electricity purchased in kilowatt hours. EF is the scope 2 emission factor for the State or Territory in which the electricity consumption occurred (in kgCO2-ₑ per kilowatthour). Scope 2 emissions are those that are physically produced by the burning of fossil fuels (coal, natural gas etc) at a power station. The scope 2 emission factors are state-based, and are the average emission factors for all electricity consumed from the grid in each state. The molecular weight (MW) of carbon dioxide (CO2) is 12 + (2 x16) = 44; where the MW of carbon is 12 and the MW of oxygen (O2) is 32. Then for every mass unit of carbon that is captured there will be 44/12 or 3.66 mass units of carbon dioxide that have been diverted from the atmosphere. So to offset 1020 kg of CO2 we need to make and capture only 1020/3.66 or 278 kg of Carbon. A typical biochar making system will be 70 to 80% efficient in terms of carbon as a proportion of dry biochar (depending on feedstock etc) so we need to adjust the value of 278 up to 278/0.75 to obtain the dry weight of biochar typically needed to offset 1020 kg of CO2. This results in 371 kg of biochar per 1020 kg of CO2. 29 (say 30) kg of biochar. Note: The Carbon dioxide equivalent (CO2-ₑ) is derived from estimates of the emissions of carbon dioxide, methane and nitrous oxide produced by the generation of the electricity at the power station. Ref 1: Australian Government. Department of the Environment and Energy. National Greenhouse Accounts Factors July 2018. Much of the discussion on these forums assumes that more biochar is better, that high concentrations of biochar must be applied to get results. But often it is more effective to use less biochar in combination with the usual diet of nutrients and organics needed for plant growth or soil restoration. Many examples have been described here in this forum if you care to listen. At USBI we are beginning to put together stories of how farmers are using biochar economically to solve problems. The Pennsylvania potato farmer who has applied small amounts of biochar strategically each year for more than five years has seen his yields increase and the quality of his crops improve. His circumstances are not special. He sees the biochar component as worth what he pays for it. Biochar has proven to be a valuable tool in systemic disease resistance for trees, landscaping, and in horticultural crops. It is used commercially as a component of soil and compost mixes for this purpose. In tropical areas it has the potential for helping counter diseases in coffee and cacao. Biochar has made it possible to reduce water use and resist drought, aiding crop and plant survival. It is used commercially in orchards, vineyards, turf and landscaping for that purpose. Today I read a meta-study that claimed that there was no scientific evidence saving water with biochars. Tell that to the farmers in the US, South Africa, and China who have saved their crop or increased their yield by applying biochar and biochar enhanced products. Biochars from biosolids, while low in carbon, have had very good results in turf and landscaping applications for plant growth and nutrient management. Carbonizing biosolids destroys compounds that are not destroyed by composting. We will see more biosolids and manure digestate carbonized and used as a soil amendment. Biochar enhanced fertilizers and soil amendments are sold commercially by several companies in the US, UK and China. The biochar conserves fertilizer by acting as a slow release mechanism during the growing season. Organic farmers are eager adopters of biochar. That’s a $40 billion business. Greenhouse and horticultural crop farmers buy it. In China granulated biochar enhanced fertilizer is used in field crops using no-till techniques. Biochar research abounds but use is still limited, partly by supply and partly by inflated costs. Current producers feel they need the high costs to offset the cost of producing limited volumes. By world standards biochar use is not large but there are many successful and economically viable applications. The adoption of biochar follows the classic adoption curves for new agricultural techniques, especially when there can be significant opposition and limited funding. Most of you already know a lot of what you will find in this long, but highly informative and hopeful article. But I believe you will find nuggets of information that you didn’t know. I tried to copy it and paste it for those who might not be able to get past the Times’ paywall, but it was too long. Definitely worth the time to read, in my opinion. Photo courtesy of Nicki van Hooff. The Mt. Barker Community Garden recently welcomed me to their Duck Flat site to demonstrate making biochar using a Maccy Kon-Tiki flame-cap style kiln. 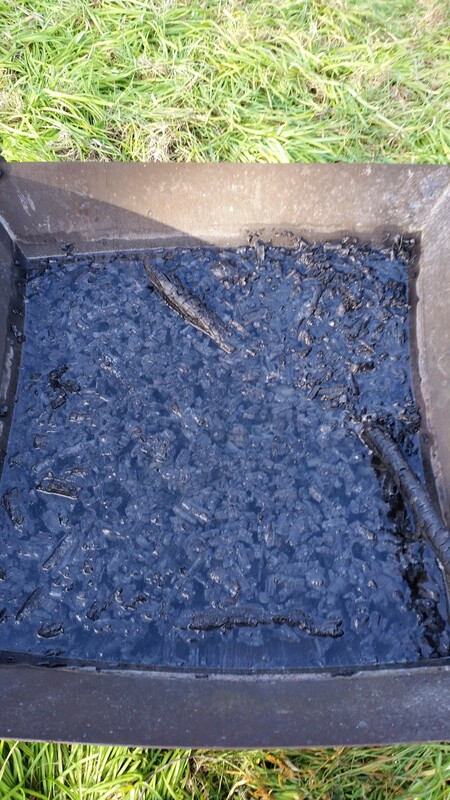 We successfully made a barrow load of biochar from 5 (or what is it 6?) barrow loads of tree litter that would otherwise have been mulched using their power mulching machine. 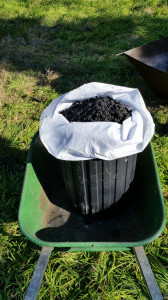 The biochar wil be used in their potting soil and also in the compost heaps that the garden manages. Members were impressed with the ease and simplicity of this method of making biochar. Extract from a letter from Tom Miles, Chairman, International Biochar Initiative, 7 July 2017. Sustainable agriculture and soil fertility have been central to the terra preta/agrichar/biochar development since the beginning of the current development efforts (2003-2017). Carbon sequestration was much touted as a potential source of funding for biochar production and use but never the only focus. Just look at the literature and the discussions on this list. In my company we started looking at biochar as a co-product of gasification in about 2003. We had heard about “terra preta” and we had had experience in the 1970s with the beneficial effect of charcoal on crops in poor soils in Central America, on our grass seed crops here in Oregon, and in the 1990s with charcoal as a component of potting media. Nikolaus Foidl and others had shared their experiences with charcoal on this list and on the improved cooking stoves list. In 2004 Danny Day held a conference at University of Georgia in which UGA reported on their work with biochar and seedlings. Dr. Makato Ogawa reported to that conference on the relationship of micro-organisms to charcoal and his extensive use of biochar to restore tree health in Japan. IBI, then International Agrichar Initiative (IAI), was organized in 2006. Erich Knight, Ron Larson, and I started the terra preta email list in 2006 to support the IAI effort. The term “biochar” was coined by the late Peter Reed to replace “agrichar” which had been trademarked by a private company. A lot of this history is on the web. In 2008-2012 IBI got a boost to develop biochar for carbon sequestration, thanks to the efforts of people like Stephen Joseph who were part of that process. About that time Europe and Australia also invested heavily in biochar research for soil fertility and carbon sequestration. Recently biochar research and use has substantially increased in China and South Asia. Some of the research has been re-discovering how biochar has been used historically and how to apply it today. For example, charcoal had been used for many years as an essential element of seedling planting mixes by friends working in Central America. Other efforts have been on how biochar can be modified to enhance its properties. Today, tens of thousands of tons of biochar are used for environmental remediation, soil fertility, and other uses. Our challenges continue to be to match the different qualities of biochars with appropriate uses, and to learn how to take advantage of short and long term benefits. On 30 June I finally used my new Maccy-Kontiki kiln to make biochar from my tree litter down in the meadow. 1. Overnight rain had wetted the wood but the day was sunny and mild with only a slight breeze. So I did not bother with any wind shields. 2. I had no trouble lighting a fire in the bottom of the kiln with some dry twigs I had brought with me for the purpose plus some newspaper plus a firelighter! 3. After the process had started there was some light smoke but it dissipated quickly. 4. When the process was going well I noticed the flames seemed to want to rotate around the four sides of the kiln. I also noticed a build-up of ash over the burning wood. So I started worrying that the process was not happening as it should. I have since concluded that a characteristic of this process is that it needs to burn the surface layer of the wood in order to heat it sufficiently for the volatiles to escape and be burnt. 5. I noticed that the sides of the kiln have warped but no damage is yet apparent. 6. When the burning wood had reached almost to the top of the kiln I used the hose to quench the fire and filled the kiln with water. I had forgotten to put bricks under the kiln so drainage took longer than I had expected. Like overnight! 7. The next day I shovelled the char into a large bag placed in the wheelbarrow. And then I found I could not budge it! So I transferred the char into 3 smaller bags. Conclusion: The quality of the char appears to be very good so my concerns about ashing have been allayed. I have weighed the wet char and will weigh it again when dry and then report back here. The first trial of my new Maccy-Kontiki Kiln took place last week and I can report that it was most successful. It was a sunny still day but cold. I started a small fire with paper and twigs and a firelighter in the bottom of the kiln which burned rapidly with some initial smoke. I added small twigs for a few minutes and gradually increased size of twigs until I was adding sticks and branches. Smoke mainly ceased and flames grew quite large and high (up to a metre and more at times). When the kiln was about 1/3 full I ran out of large sticks. Reverting to twigs caused a flare-up with smoke. So I decided to quench the fire. After quenching the kiln appeared about 1/4 full and there were some larger sticks that had not completely carbonised. But on the whole the result was charcoal. It produced about 1/2 a wheel barrow full. I distributed most of it between 3 compost bins and gave my wife a bucket-full to play with. I now have a Council permit to burn my wood heap so will use all three kilns down at the wood heap at the next opportunity and then report back. There are now several biochar amended compost products in retail garden stores. Biochar has been added to compost for filtration and growing media. Research continues to improve ways in which biochar can help compost, especially for water retention and odor management. Compost is used to reduce odor in poultry (broiler and layer) production. It is used to immobilize herbicides (e.g. clopyralid) in finished compost. Biochar was well represented at the annual meeting of the US Composting Council (compostingcouncil.org) in Los Angeles, California, January 23-27, 2017. There was considerable interest in how biochar could be used with compost for growing media, landscaping, stormwater filtration, and erosion control. Organic recycling managers were interested to know how biochar could help recycle or reuse woody waste and biosolids. Biochar producers, Phil Blom (Terra Char), Josiah Hunt (Pacific Biochar) and Michael Whitman (Blue Sky Biochar) spread the biochar message among the more than 90 exhibitors and 1080 visitors attending the conference. IBI Chairman, Tom Miles, provided an overview of biochar production and use. Jack Hoeck, Rexius Products, described how his company uses biochar to produce commercial potting soil and growing media (Opus Grows). Dave Crohn, University of California, Riverside, described results from multi-year trials using compost, biochar and biosolids for managing water in turf. Greg Stangl, Phoenix Energy, described their production of biochar and power as a solution to the excess wood in California. The Kon-Tiki charcoal maker is a relatively new design of charcoal maker currently being adopted widely by the biochar fraternity. It is effectively an above ground open fire pit. The main advantages are simplicity of design, tolerance to shape and size of feedstock, and char volume potentially as large as the container volume itself. The design of the Kon-Tiki is based on a truncated cone. Alternatively a truncated pyramid can be used. The following plans and parts list are based on the truncated pyramid version. This version has a capacity of 0.230 m³. Assembly: Position all 4 side plates with 900 edge at ground level and lean in to form a truncated pyramid. Check that each top corner meets flush. Fully weld each side plate to its adjacent side plate. Position bottom plate and fully weld all around to the side plates. For economy and lightness a low gauge is desirable; but for durability a larger gauge is preferred. If a light gauge is used, say 1.8mm, then reinforcing rods welded to top and bottom edges would be recommended. These rods can be extended by 100mm at each side to provide lifting means. For durability and ease of welding 3mm sheet steel is recommended. Based on 3mm sheet steel the approx. weight of the unit will be 35 kg. Based on 1.8mm sheet steel the approx. weight of the unit will be 21kg. In windy conditions it is desirable to use a rim shield. For a truncated pyramid the shield can be made from flat or corrugated sections of used roof or fencing iron placed on all 4 sides. Simply cut to height of unit (600mm) and stand on bricks or similar so that it projects about 100mm above the rim of the unit and about 100mm from edge. This will provide a route for the air to flow up the outside of the unit, be preheated on its way up along the outside and then spill over into the unit to provide an air vortex over and around the top of the flame-front. 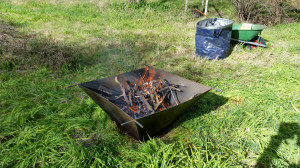 Start a small fire in the bottom of the empty unit by constructing a small heap of twigs criss-crossed to form a “chimney” with an air space up the centre. Air will be drawn down to the perimeter of the fire and into the flame area. 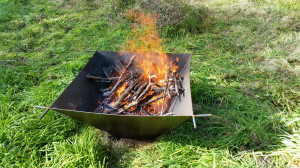 Feed larger twigs onto the fire so as to build it up in size. Continue this process, pausing only if the wood starts to smoke. Larger pieces can be added as the flame area becomes larger. What happens is that while the first top layer of wood is burning the layer beneath is heated to the point that it releases its gas which is burnt off cleanly at the top of the wood layer. Air cannot penetrate down below the top layer so no combustion can occur there. Thus the layers are progressively pyrolysed (heated in the absence of oxygen) to produce char. Continue until the unit is full of char and no more new wood can be added. When the feedstock has all been converted to char the char itself will then start to burn unless it is thoroughly quenched with water. I recommend that water simply be hosed onto the surface of the char and the unit filled with water. Alternatively the hot char can be tipped out onto a flat non-combustible surface and hosed down thoroughly. A drain hole in the centre of the base of the unit will allow the water to self-drain when a channel is dug in the ground from the outside to the middle. The drain hole must be air sealed during operation so the unit should be operated while sitting squarely on the ground. Any questions, comments or helpful suggestions please let me know. but the trough shape makes it very suitable for longish branches and prunings thereby reducing the need to cut to size as with smaller, drum-type carbonisers. to see an excellent description of the technique and detailed drawings and dimensions of the various models that they have designed. I have added the above link to the blogroll for your convenience.